Dawn Till Dusk, Midnight Blue, and Phantom Green. 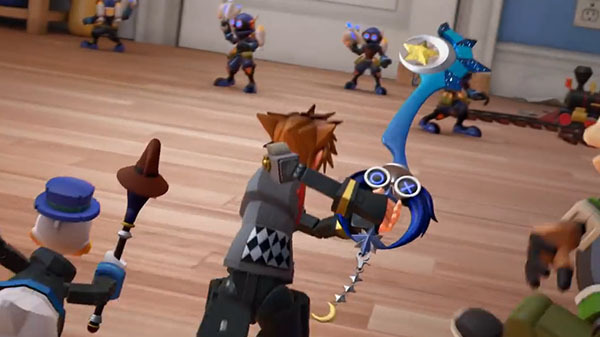 Square Enix has released a set of trailers for Kingdom Hearts III highlighting the pre-order bonus keyblades available at Amazon in the west / Seven Net Shopping in Japan, the PlayStation Store, and the Microsoft Store. Fire Up – Increases damage dealt by fire attacks. Firagan – Available as a situation command. Blizzard Up – Increases damage dealt by blizzard attacks. Blizzagan – Available as a situation command. Thunder Up – Increases damage dealt by thunder attacks. Thundagan – Available as a situation command.